WITH the handing over of Nigeria’s Electricity Generation Companies (GENCOs) and Electricity Companies (DISCOs) to private investors in 2013, expectations were high that they would invest resources, build capacity and provide adequate and stable electricity to consumers nationwide. The reason for that optimism was not farfetched. First, generally the private sector was known for resources, capable of turning around the misfortune of the sector which suffered a serious setback under public ownership and management. Second, the private investors were expected to have the capacity and discipline to make positive impact more than their public sector counterparts. Moreover, the private investors had succeeded in some other sectors, especially telecommunications, thus raising hope that the feat would be replicated in the power sector. But this was not to be. Barely, four years after, Nigeria does not appear to have made much progress in transforming its power sector. 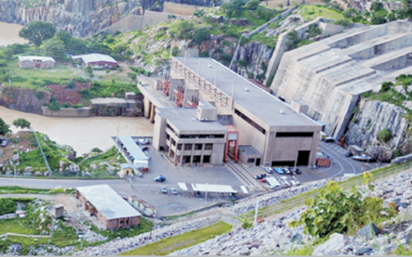 The latest Presidency report showed that power supply stood at below 4,000 megawatts, mw. “On August 26 2017, average power sent out was 3167 MWh/hour (up by 106 MWh/h). The reported gas constraint was 544MW. The reported line constraint was 0MW. The reported frequency management constraint due to loss of DISCO feeders was 2455 MW. The water management constraint was 0MW. Also, the nation has witnessed several system collapses in recent times. For instance, the system collapse recorded on May 8, 2017 culminated in a significant drop in generation, transmission and distribution of electricity to many parts of the nation. Before then, the nation recorded two system collapse incidents in April, 2017 alone, which also affected supply to consumers. Besides, a study by NOIPolls, an Abuja-based research outfit disclosed that power supply to households in the nation dropped to 30 per cent of installed capacity in the first quarter of this year, from the 37 per cent obtained in last quarter of last year. The new aggregated power poll results released by NOIPolls for the first quarter of 2017 showed that the lowest power supply to households in Q1, 2017 was put at 21 per cent. The drop was attributed to the shortage of gas to the power generating companies and low water levels at the hydro power stations. The report stated that, about 75 million Nigerians lack access to adequate electricity and Nigeria was ranked highest among the countries with electricity access deficit when energy access, efficiency and renewable are on the rise in many developing nations. 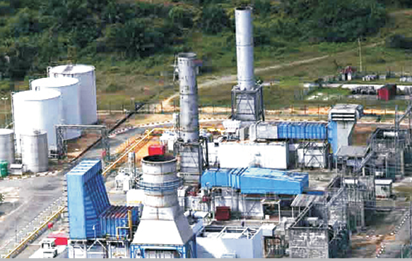 The poor state of Nigeria’s power sector is attributed to many challenges. The Executive Director of Association of Nigerian Electricity Distributors, ANED, Barr. Sunday Oduntan, has identified liquidity, huge debt, vandalism and others as the problems of the sector. ‘’There are some challenges that need to be tackled by many stakeholders, especially the Federal Government, the DISCOs and gas suppliers. These include: lack of liquidity that hampers our operations. Another challenge is energy theft which culminates in leakages and losses. Also, the Minister of Power; Works and Housing, attributed it to lack of sufficient financial investments in the power sector. According to Fashola, although the country has expended what may appear sizeable, the money so far spent was inadequate to address the current challenges. He also noted that in spite of the already installed 12,000MW power capacity, the country is only enjoying about 6,000MW because of sabotage resulting from broken gas pipelines, poor planning of gas supply and evacuation. According to SERAP, “The Rome Statute in article 7 defines ‘crime against humanity’ to include ‘inhumane acts causing great suffering or injury,’ committed in a widespread or systematic manner against a civilian population. The common denominator of crimes against humanity is that they are grave affronts to human security and dignity. Therefore, the staggering amounts of public funds alleged to have been stolen over the years in the electricity sector create just these consequences. Crimes against humanity are not only physical violence; allegations of corruption in the electricity sector hold a comparable gravity, which the Prosecutor should examine and thoroughly investigate. “The elements that need to be established to prove a crime against humanity under article 7(1)(k) of the Rome Statute are that, the perpetrator inflicted great suffering or serious injury by means of an inhumane act; that the perpetrator was aware of the circumstances, and that the act was committed within a widespread or systematic attack on a civilian population; and that the perpetrator knew of that link. “The consequences of allegations of corruption in the electricity sector are similar to those of the offences in article 7(1). Corrupt officials and corrupt contractors in the electricity sector know well that their conduct is criminal and injurious, and the denial of human dignity coupled with a radical breach of solemn trust, aggravate their alleged crime. “SERAP considers these allegations of widespread and systematic corruption in the electricity sector as amounting to crimes against humanity and therefore clear violations of the provisions of the Rome Statute of International Criminal Court. SERAP believes that these allegations have given rise to individual criminal responsibility of those suspected of perpetrating corruption in the electricity sector, as entrenched in the Rome Statute of the International Criminal Court. “SERAP considers the apparent failure of successive governments and high-ranking government officials to prevent widespread and systematic corruption in the electricity sector as amounting to complicity under the Rome Statute. SERAP therefore believes that the widespread and systemic nature of large scale corruption in the electricity sector fits the legal requirements of a crime against humanity. “The 2006 Commonwealth working group on asset repatriation specifically refers to corruption including in the electricity sector being defined as an international crime. SERAP believes an international investigation by the ICC would complement the anticorruption initiatives by the current government and contribute to ending a culture of impunity of perpetrators. “SERAP believes that substantial grounds exist to warrant the intervention of the Prosecutor in this case. Pursuant to the Rome Statute, the Prosecutor has power to intervene in a situation under the jurisdiction of the Court if the Security Council or states parties refer a situation or if information is provided from other sources such as the information SERAP is providing in this case. “SERAP is seriously concerned that the instances of corruption highlighted above and details of which are contained in the enclosed From Darkness to Darkness report are not isolated events, but illustrate the widespread and systematic nature of large scale corruption in the electricity sector under the governments of former presidents Olusegun Obasanjo, Umaru Musa Yar’Adua and Goodluck Jonathan. This level of corruption has limited access to and affordability of electricity in Nigeria. “Widespread, systemic and large-scale corruption in the electricity sector and the lack of transparency and accountability in the use of public funds to support the operations of Discos have resulted in regular blackouts and disproportionately affected the most disadvantaged and vulnerable sectors of the population who cannot readily afford expensive generators in order to have a reliable power supply. The situation is not likely to improve considering that the production of electricity is not proportionate with the rapidly growing population. “The African Commission on Human and People’s Rights has adjudged the failure of the States “to provide basic services such as (…) electricity” as violating the right to health.” SERAP argues that Nigeria is bound to make full use of the resources available to ensure regular and uninterrupted supply of electricity, even in times of resource constraints. Under international law, vulnerable members of the society must be protected by the adoption of relatively low-cost targeted programmes even in times of severe resources constraints. “SERAP also notes that allegations of corruption in the energy sector have resulted in the epileptic and interrupted supply of electricity and corresponding deprivation and denial of the citizens’ access to quality healthcare, adequate food, shelter, clothing, water, sanitation, medical care, schooling, and access to information. Mr. Muda Yusuf, the Director General of the Lagos Chamber of Commerce and Industry, indicated in a telephone interview that the nation’s poor power situation has crippled operations in many sectors of the nation’s economy. He said that investors in many sectors, especially manufacturing, telecoms and agriculture have been compelled to generate their independent power at higher cost. Yusuf had pointed out that the high cost of generating power has culminated in the high cost of goods and services, making locally produced goods uncompetitive in the global market. This is mainly because Nigerians depend more on generators to generate power than the power companies at higher cost. The Speaker of the House of Representatives, Yakubu Dogara, has said it is unacceptable that Nigerians spend $5 billion on generators yearly, stressing that the House of Representatives will support the Executive to find a permanent solution to the power problem in Nigeria. 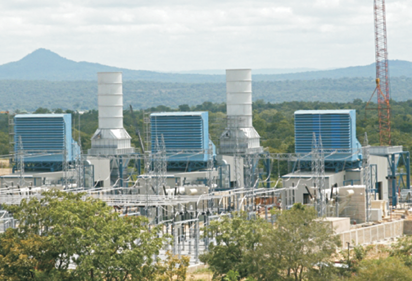 The poor power supply has crippled operations in almost all sectors of Nigeria’s economy. According to the Association of Telecommunications Companies of Nigeria (ATCON), telecom subscribers lose an average of N730 billion to poor quality service yearly. For instance, MTN Nigeria spends N30.5 billion yearly on the purchase of diesel alone. The CEO of Airtel Nigeria, Mr Segun Ogunsanya, had said, “The power costs of a site connected to the power grid are only about 1/6th those of a fuel-powered site, but only about 10 per cent to 15 per cent of base transceiver stations are connected to the electric power grid. The Executive Secretary, Association of Licenced Telecommunications Operators of Nigeria (ALTON), Gbolahan Awonuga, had also indicated that the Global System for Mobile (GSM) communications, LTE operator and internet service providers have remained the largest consumers of diesel in Nigeria. He said that they spend an estimated N175 million daily or N45 billion monthly on diesel for powering their Base Transceiver Stations (BTSs) nationwide. Mr. Frank Jacobs, President Manufacturers Association of Nigeria (MAN), said in an interview that: “It is possible to gauge the loss suffered by manufacturers arising from paucity of electricity supply and high cost of alternative energy source. Capacity utilization in the sector has barely been above 50 percent. “This implies that the production has been sub-optimal; production value in the sector was estimated at N8.38 trillion in 2016. Another way of measuring the loss to manufacturers as a result of the challenges of electricity supply is by looking at the huge cost of alternative energy which was estimated at N129.95 billion in 2016. It is against these and other pains of stakeholders that observers have called on the government to tackle all the problems currently haunting the nation’s sector. The post Let there be light appeared first on Vanguard News.